For those of us who love the Dreamcast Junkyard, Sega's final console never died. But for those gamers in the mainstream, the Dreamcast was written off as a failure, when Sony's PS2 outstripped it in sales and became the dominant console of it's generation. Sega are currently referencing some of it's finest Dreamcast games in new releases or actual straight ports of it's back catalogue. 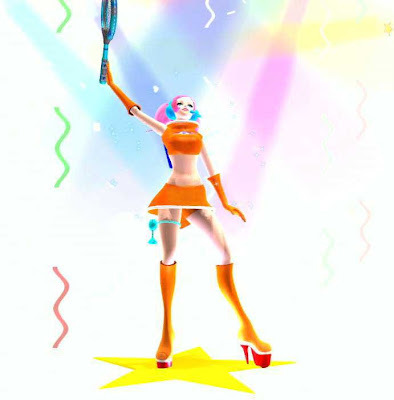 Take Sega Superstar Tennis, running on the Virtua Tennis engine, Dreamcast favourites Ulala (from Space Channel 5) Beat (from Jet Set Radio) and Amigo (from Samba De Amigo) will all be playable characters within the game. Lovely! Look at the intro scene for the game in the video above and weep tears of joy. But Amigo's star continues to rise with the inevitable re-release of Samba De Amigo for the Wii... As suggested some time ago by DCJY's G-Man, this was a no brainer for the Wii, with the Nunchuck and the Wiimote replacing the maracas. Official Nintendo Magazine had the bloody cheek to gush recently (and I quote...) "It's as if this game was made for the Wii!" Deluded fools! Nintendo have no plans to release maraca peripherals either! BAH! Oh and by the way, did you receive any royalties for this Gagaman(n)? You bloody should have! 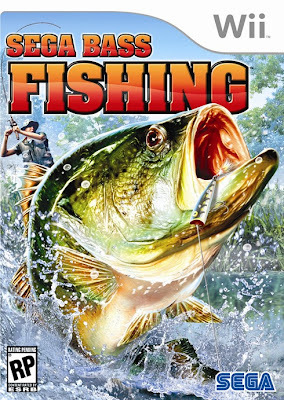 "The game will feature four modes - arcade, tournament practice and nature trip; 15 stages, seven of which are brand new with four from the arcade and Dreamcast versions; and finally, you’ll be hunting down four different types of bass - Florida Large Mouth, Red Eye, Small Mouth and Northern Spike Large Mouth." Fishtastic! Then for all those Wii Zapper fanatics we see the release of House Of The Dead 2 for the Wii with the imaginatively titled "House Of The Dead 2 & 3 Return" (finally I mention something Gagaman(n) hasn't already!) I've got a couple of copies of the original which I still play regularly... I've never completed the game, maybe I'll have more luck with the Wii version! Apart from recycling my good friend's posts and (hopefully providing you all with some nice video and links) my point is this... The Dreamcast lives on... And who knows? Maybe some of the Wii generation will be inspired to grab themselves a Dreamcast themselves, to see where all these classics came from and experience some of the 200+ other games that graced the little white box... Any publicity for Sega's finest creation must be good! "Earlier today we reported that the Sega Mega Drive/Genesis isn’t quite dead yet all these years later a new game will release on our beloved old friend console. Well I’m happy to report that Sega doesn’t think the Dreamcast is dead yet either! 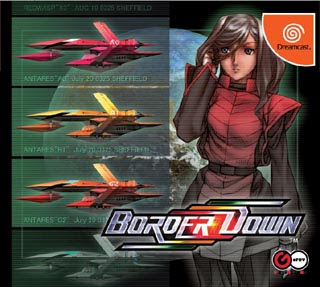 That’s right, Sega have decided that they want to rerelease Border Down on the Dreamcast, The game which is a Shmup (shoot em up) developed by G-rev was originally released on the Sega NAOMI Arcade board and later ported to the Dreamcast. It appears the game will be available on the Dreamcasts GD-Rom disks and I assume will come in a DVD style case. It will probably be available from Sega Direct and other Japanese Import websites. 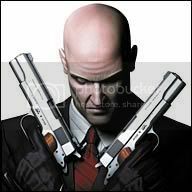 The game will be available from January 17th, 2008. At the price of 7,140 yen." Big thanks to Sega Nerds and The Gagaman(n) for all the information that I so shamelessly plagiarised in this post! I am having problems finding Border Down, does anyone know what website sells this game? Hi Mikey! Try Play Asia... 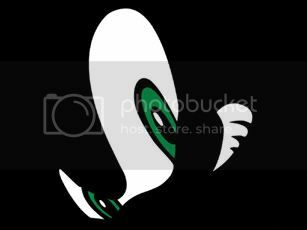 There's a link on the post! Sega are really showing some strong support for the Wii, maybe they can see the spirit of what the Dreamcast was all about in the Wii's glowing blue eye. Games like Superstar tennis also show that Sega haven't forgotten us long time fans. As for Border Down, Play-Asia have no copies what so ever. Is anyone actually selling this, and if they are, for less than £ridiculous? actually, Border Down reprint will only be sold a Japanese game store. Which means there aren't going to be sites like play-asia selling it. Thanks for the info Nick... What about Sega-Direct, as mentioned on Sega Nerds? Also: Don't forget that the 360 is getting quite a bit of Dreamcast loving too soon, with Sega Superstars tennis also on that (with online play, something the Wii version lacks for some reason)as well as REZ HD (next week!) and Ikaruga on Live arcade! that house of the dead wii screenshot looks a bit dodgy dunnit?! Tom: What's about it? It's the same excat HOTD3 from the X-Box, which also had HOTD2 as an unlockable so this Wii game is almost a direct port of that (with some added stuff). I have no lcue why they didn't add a version of HoD 1. I mean there was PC port. It would have been DEAD SIMPLE to port it.